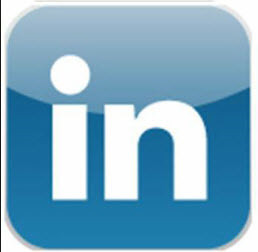 LinkedIn is a community of people who happen to be talking about business related topics. Like any other group of people, they like people who respect the group's dynamics and go along for the ride. Those who don't become irrelevant or irritants. It is important to learn how to work within the LinkedIn community so you can maximize the benefits you receive from it. Some people refer to LinkedIn as a marketing channel masquerading a social network. Is that a mistake? If so, they could be dismissing the rich connections made in the network every day. Perhaps they do not know how to use LinkedIn in a way that enhances the connection possibilities. Perhaps they do not understand the way to interact in the community along accepted norms. Perhaps they use it as a marketing channel and end up becoming either irrelevant or irritating. Don't become one of those. Treat every connection you make with respect. Remember, this is a business community. Professional courtesy is the norm. Saying please and thank you is a good way to start. Even if you have no need to connect with someone, be polite when saying no. Send invitations only to those with whom you have made a personal connection. Many people spam everyone in their industry with an invite. The idea is to get as many connections as possible. The problem is that they will likely get fewer connections and get a reputation as a spammer. Never send a generic or default invitation or message. You know the one, "<insert name> would like to invite you..." That is the last thing you want to send out. People on LI have become immune to it and ignore those invites. If you send a personal note instead, you have a better chance of making that critical connection. Always send thank you notes when someone responds to your invitation. This is a courtesy that you might think unnecessary. However, to further the relationship with that person, you need to stay courteous and personable. A quick thank you takes no time but has a powerful appeal to the person who receives it. Do not call someone "friend" unless you have an real social connection. In the real world, most people who just met you are not automatically your friend. That is also true in LI. Do not ask for endorsements from people you do not know. That is asking a complete stranger to tell the world about your skill set. Those requests will go into the spammer category. Do not spam. Very simple. Always have a reason for doing something on LI. Just randomly posting information for no good reason is spamming. Sending invitations to strangers is spamming. Do not be a pest. If you send an invitation to someone who does not respond, do not keep sending multiple invitations or messages. You are not someone they want to connect with. Becoming a pest is as bad as spamming. Honesty is the best policy. Do not overstate your qualifications. Do not post someone else's work as your own. Someone will catch you in a lie and that can backfire. Etiquette matters. Activity should not be mistaken with productivity on Linkedin. One of the biggest challenges people encounter in this realm is they don’t know how to effectively use Linkedin. These are just a few ways to make yourself a member of the LinkedIn community instead of an irrelevant or irritating person who uses LI for their own purposes.